Years after the passage of the Minerals Development Fund (MDF) Act by Parliament, the government is yet to fully implement the law that provides the legal basis for the disbursement and management of ceded royalties received from mining companies. The GRAPHIC BUSINESS understands that despite the meagre percentage of mineral royalties earmarked for mining communities, a significant portion of the funds have not trickled down to them because what is due them remain in arrears. Presently, some GH¢115.04 million of mineral royalties due traditional authorities, stools, metropolitan, municipal and district assemblies since 2016 is locked up with the Ministry of Finance in violation of section 4 (3) of the MDF Act which mandates persons who receive money intended for the fund to lodge it into it within six working days. Although the MDF Act provides that 20 per cent of the minerals royalties received by the Ghana Revenue Authority, (GRA) from holders of mining leases should be paid into the fund, only 10 per cent of the royalties has been released to the mining communities. The Minister of Lands and Natural Resources, Mr John Peter Amewu, admitted the delay in fully implementing the MDF requirements and releasing the locked up funds of the beneficiary communities at the 2018 Ghana Chamber of Mines’ Annual General Meeting (AGM), saying: “I am aware of the concern in the delay in fully implementing the requirements of the fund. The Ministry has set up the MDF secretariat and will soon put in place the board to fully operationalise the fund,” he noted. “Let me assure you that the government is committed to utilising the fund for community and infrastructure development as part of the framework for alleviating the sufferings of mining communities and enhancing their standards of living. “It is, therefore, our expectation that in doing your Corporate Social Responsibility (CSR) activities, the mines would coordinate with the government to reap the inherent synergies in our development effort,” he said. Meanwhile, the Ghana of Chamber of Mines has continuously called on the government to effectively implement the MDF Act to help ensure that mining communities benefit from operations of mining companies. Although the MDF was to bridge the development gap in mining communities by setting aside a significant percentage of mineral royalties for development projects, the Chief Executive Officer of the Chamber, Mr Sulemanu Koney, told the GRAPHIC BUSINESS that successive governments had not done enough to ensure the development of such communities with deposits of natural resources. 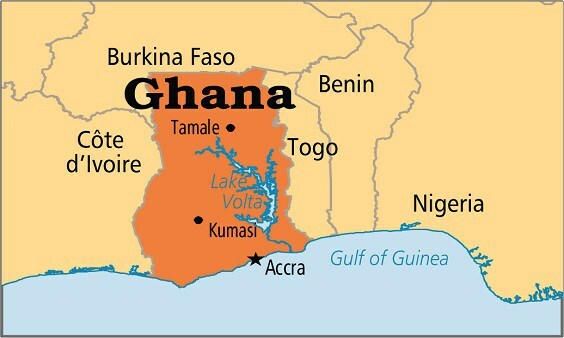 Data from the Minerals Commission (MC) suggest that Ghana’s gold production declined marginally from 4.24 million ounces in 2016 to 4.22 million ounces in 2017 due to developments in the small-scale mining sector. Production from the member companies of the Chamber increased by 11 per cent to 2.81 million ounces in 2017 from 2.54 million ounces in 2016. Also, shipments of manganese by the Ghana Manganese Company increased significantly from two million ounces in 2016 to three million ounces in 2017 as a result of expansion in mine operations. However, exports of diamond by the Precious Minerals Marketing Company (PMMC) fell from 143,005 carats in 2016 to 86,924 carats in 2017 due to lower production from artisanal and small-scale producers. With modest increase in the traded price of gold, the total realised revenue of the producing member companies of the Chamber went up by 13 per cent to US$3.68 billion in 2017.